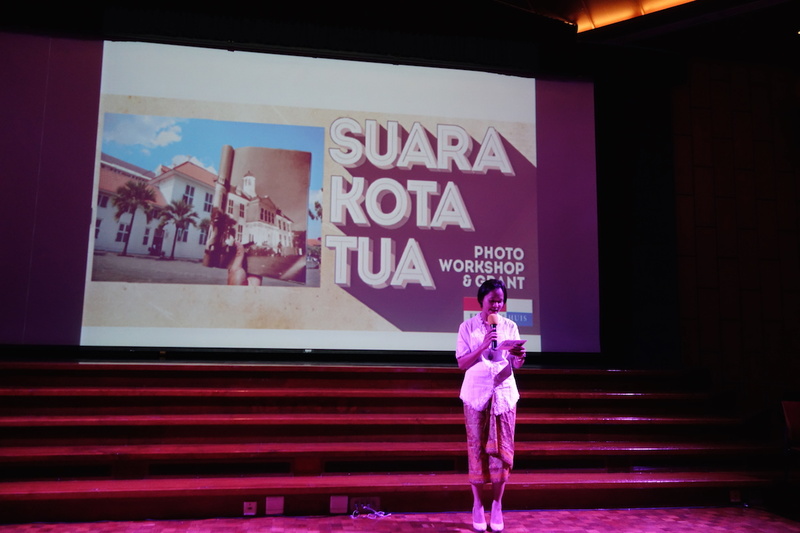 A few weeks ago, I attended the slideshow presentation of the participants of the Suara Kota Tua photography workshop, mentored by Ben Laksana and Yoppy Pieter (in collaboration with Erasmus Huis). The workshop took place on 4-6 June 2015. There are 12 participants in total, all of whom below 25 years old. There is no published reason why participants from this age group are selected. However I’d like to believe that this is an initiative to groom young talent. There are many photography workshops that have been organized in Indonesia over the years, often in conjunction with other photographic events. However, it’s rather difficult to find workshops that looked beyond technical issues. Suara Kota Tua promises a refreshing change, providing younger photographers access to education that is mostly reserved for photojournalists. However, the presentation on 6 June suggests to me that the workshop only delivered part of the promise. Most people will agree that a three-day workshop is quite tight in terms of time. However, the tutors managed to cram within the schedule insights on the theory of storytelling, shooting and editing. Viewing the outcome of the workshop, the participants’ projects can be divided into two groups. One group uses photography to tackle personal issues, projecting their ideas on the setting of Kota Tua (Old Batavia) and creating projects in a very subjective manner. The other group portrays Kota Tua and its inhabitants in a more documentary approach. However, based on the presentations, I have the impression that both groups of participants consider themselves as agents of change in their usage of photography. This probably has something to do with the perceived role of photojournalism in the Indonesian society. The presentations took place in a very hurried manner. With the lack of preparation for the students to deliver public presentations, the session raised many questions from the audience. The Q& A ended too quickly, leaving no room for further discussion. I managed to discuss the workshop with the mentors. It seems that the students have come with a predetermined view of photography. This proves to be unproductive because it does not allow for collaborations between the mentors and the students. In other words, both the students and the mentors have lost the best opportunity to challenge themselves. You may not agree with what others believe. But it does not hurt to listen and collaborate for once. This brings us to the next question. What’s next? What’s next for the participants and the workshop? I do believe that Suara Kota Tua serves as an important beginning. I hope to see further refinement in the participants as well as the workshop model.